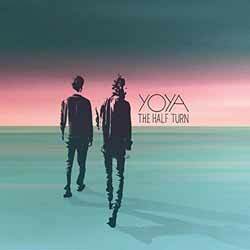 Yoya's new album, The Half Turn, Is a modern Indie release which draws on Folk, Rock and Pop to deliver something that is instantly accessible to all. The LP contains 10 songs (37 min, 40 sec) and is an album that certainly grows on you the more you spend time with it. Opening with the memorable, catchy 'The Bloom', they go on to deliver a little Pop with 'Bright Lines' and a taste of '90s Indie with 'Everyone Lies', and we get a little Keane-esque with 'Nobody Asked Me To'. It's an interesting, not to mention, memorable album of tracks that you'll get months of pleasure out of.